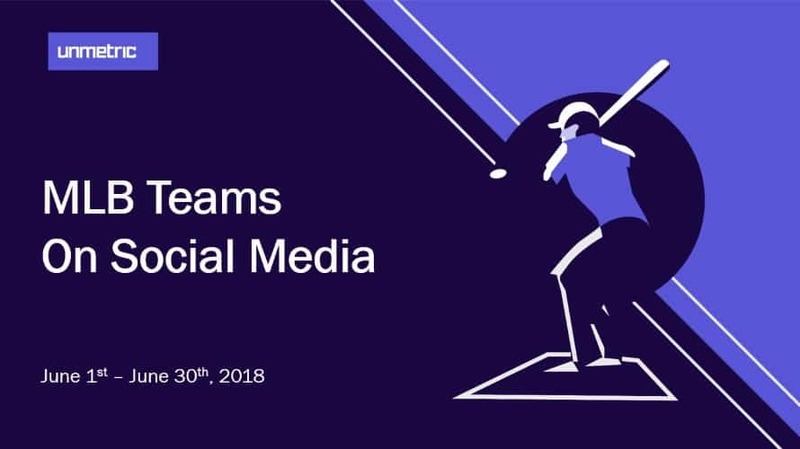 Two Major League Baseball clubs that are exceeding preseason expectations are also making inroads on the social side, as social marketing firm Unmetric found that the Seattle Mariners posted the highest growth on Facebook and Twitter in June, while the Atlanta Braves did so on Instagram. 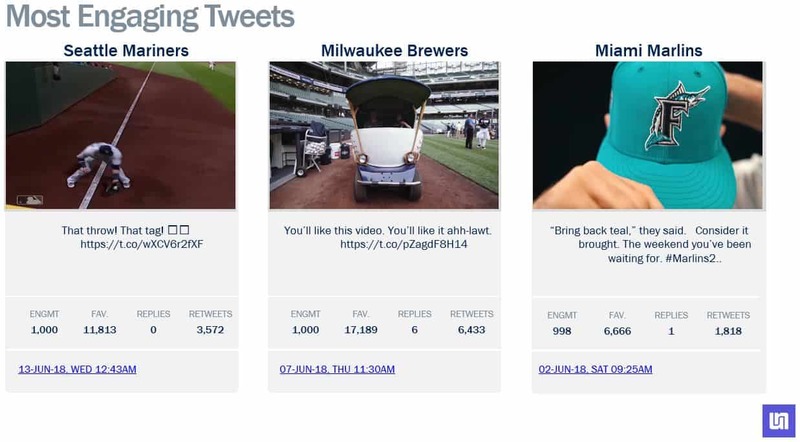 Preseason favorites, meanwhile, ruled engagement in June, as the Chicago Cubs led on Facebook while the New York Yankees paced Twitter and Instagram. 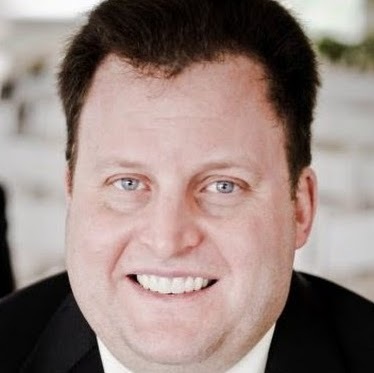 The Yankees maintained their hold on the largest audience size across the three social networks. The Los Angeles Dodgers were the most prolific posters on Facebook and Instagram, while the St. Louis Cardinals were the top tweeters for the month. 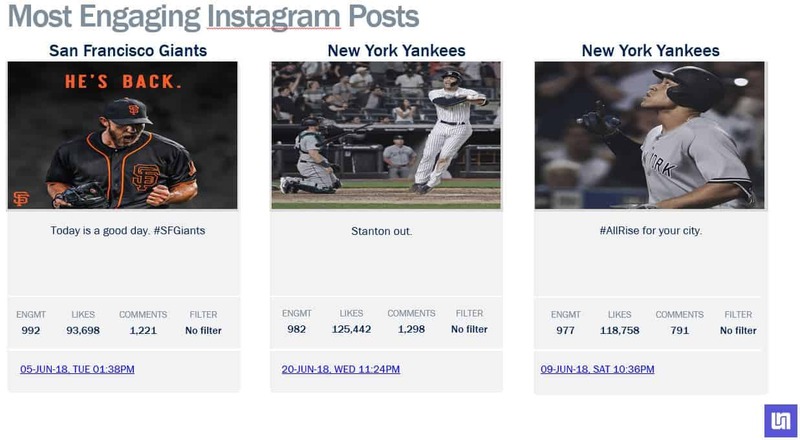 The Cubs led Facebook in likes, while the Yankees topped Twitter and Instagram was led by the Dodgers. 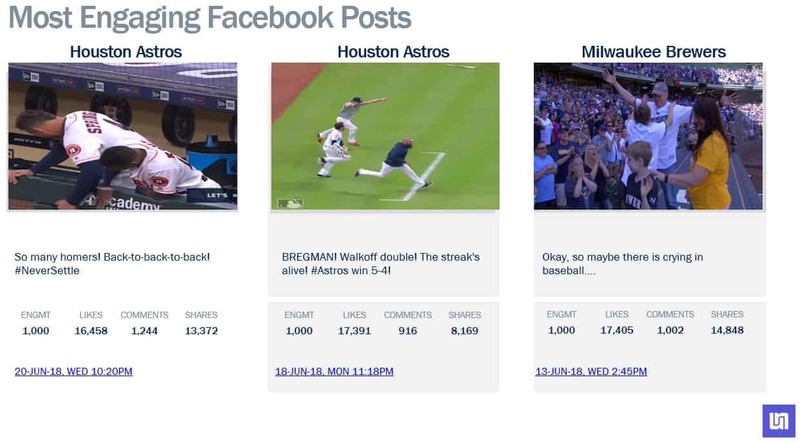 The Cubs also drew the most comments on Facebook, while the New York Mets paced Twitter and the Dodgers led Instagram.